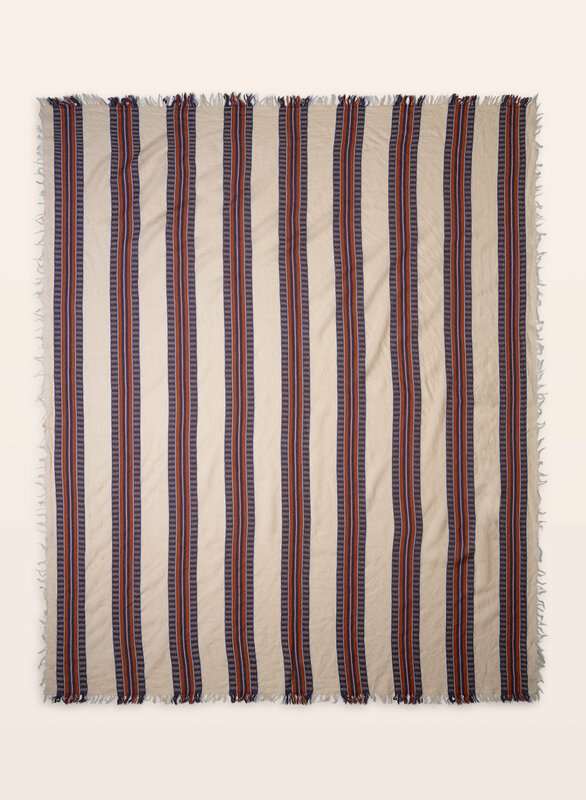 This versatile piece is made from pure Australian wool chosen for its exceptional quality and softness. 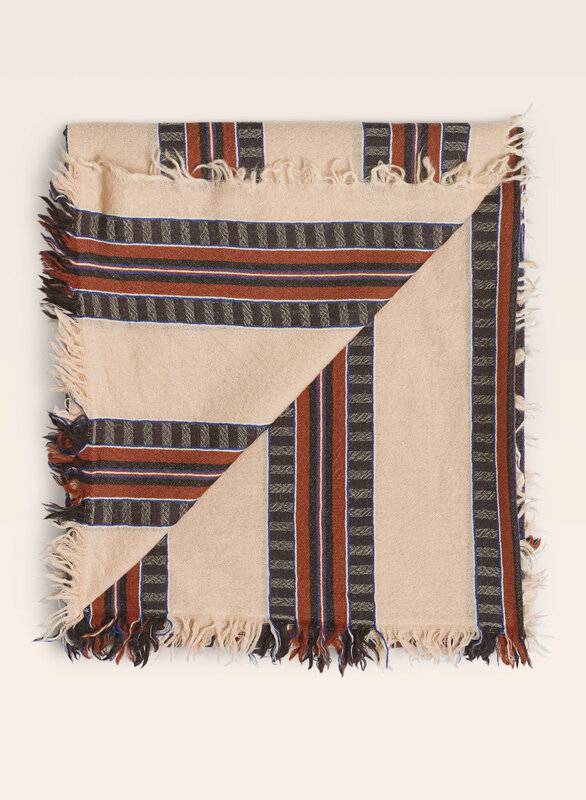 The fringed edges are finished by hand, and the striped medley pattern was designed by Wilfred's own artist. I purchased the colour Wind in fall 2018 and have been wearing it all season long as well as for winter. It's a beautiful scarf with a luxuriously soft wool feel. 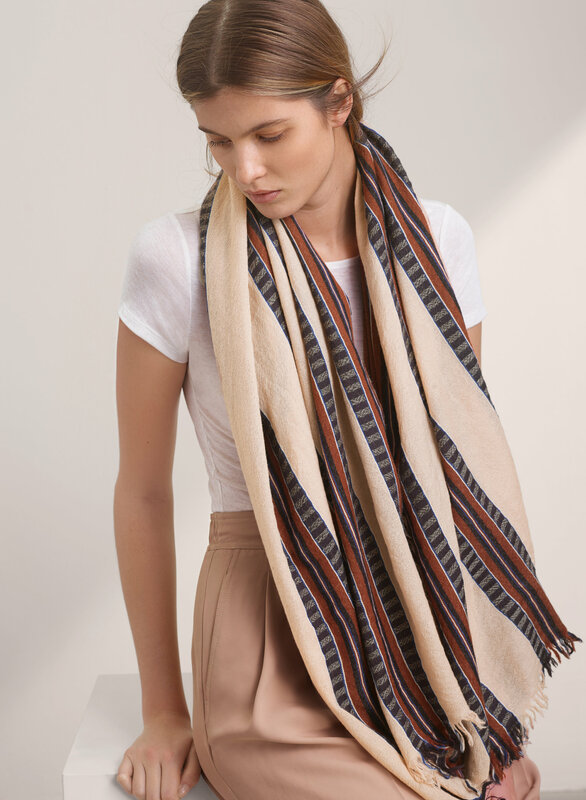 The wool is not as thick as the diamond mosaic scarf which is nice when I want something a bit lighter yet still warm and can elevate an outfit. I haven't noticed any pilling of the wool yet either (the diamond mosaic scarf eventually does show pilling but it's not a con for me). 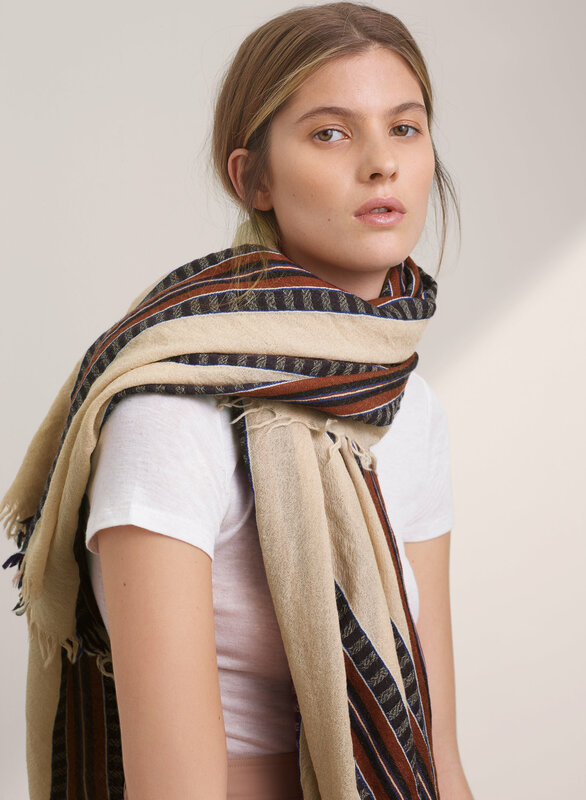 This is a great addition to build my aritzia scarf collection. I would definitely purchase another to gift someone. Fit perfect, i love 100% wool , warm in cold weather. Love the design and colours combination . I bought the wind color a couple of years ago. And im so glad they brought it back this year. I bought myself a new one. I literally wear it every single day. It matches with absolutely EVERYTHING. Perfect for any occasion. Dress down or dress up! Absolutely love it and the quality and style is excellent!